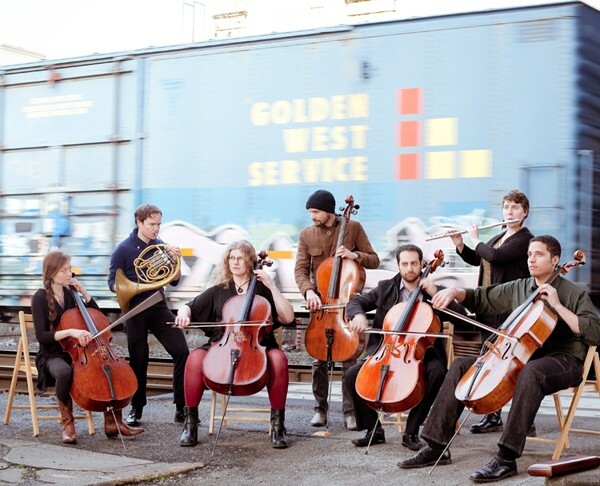 Having made a career of covering everyone from Britney to Kanye, Portland's all-cello orchestra may seem like just another crossover gimmick. But though Portland Cello Project has gained renown for a unique blend of the sacred and profane, its rotating cast transitions so seamlessly between the two that you nearly forget "Toxic" wasn't written for the strings. Of course, this could be entirely due to the cellos themselves. If ever there were an instrument designed to fold hip-hop and classical into a well-blended caramel goop, it would be the resonant long-neck. Waka Flocka Flame could saunter onto the Metropolitan Opera stage carrying only a cello and lilt his way through "Traphouse Shawtys," with nary a dry eye in the house. Or maybe it has something to do with the group's magical city, that innovative place that's birthed genre-smashers like Carrie Brownstein and Esperanza Spalding. However they do it, these Oregon cellists play warm, richly layered instrumentals delicately lifted from the world of pop—without even an ironic hint of kitsch—on Friday, May 18, at the Wells Fargo Center. 50 Mark West Springs Road, Santa Rosa. 8pm. $10–$30. 707.546.3600.